Amusement parks; New York (State); New York; History. Amazon.com description: Product Description: Coney Island is an iconic symbol of turn-of-the-century New York, but many other amusement parks thrilled the residents of the five boroughs. Strategically placed at the end of trolley lines, railways, public beaches and waterways, these playgrounds for rich and poor alike first appeared in 1767. From humble beginnings, they developed into huge sites like Fort George, Manhattan's massive amusement complex. Each park was influenced by the culture and eclectic tastes of its owners and patrons--from the wooden coasters at Staten Island's Midland Beach to beer gardens on Queens' North Beach and fireworks blasting from the Bronx's Starlight Park. However, as real estate became more valuable, these parks disappeared. 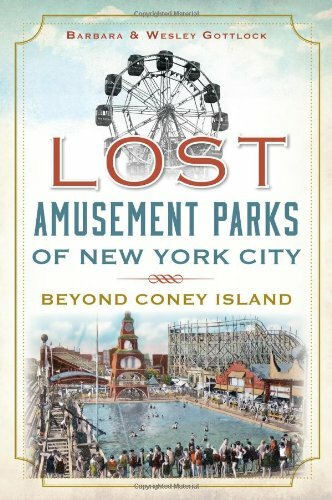 Rediscover the thrills of the past from the lost amusement parks of New York City. About: Coney Island is an iconic symbol of turn-of-the-century New York, but many other amusement parks thrilled the residents of the five boroughs.